On occasion of his 65th birthday my uncle invited 7 family members (including me) to join him on a vacation with a surprise destination. So last week I ended up taking a tour though … Morocco! 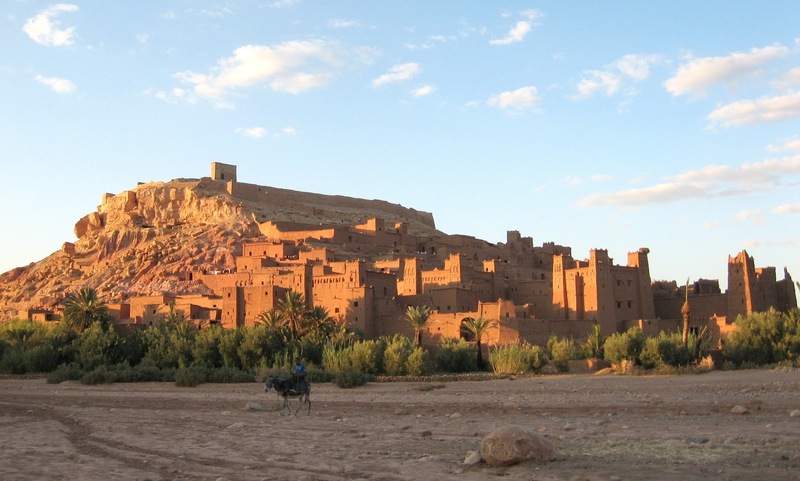 A friend of my uncle, a Berber, showed us some of the most beautiful places in the south. Oh wow! I hope there are more pictures. This must have been a sight to see! Morroco! I have only seen it in the movies. This is beautiful Rob. I am confused about the term Kasbah. Is it the structure at the top of the hill? Or, is it the entire complex? Spectacular photo. The kasbah is a large fortified house with some stables around to house the livestock. So you could say for instance that the square structure at the base of the hill is a kasbah, or you could consider the whole hillside as one large kasbah. I don't know exactly because I hadn't time to prepare for the journey since the destination was a secret untill I entered the airport. I had guessed we would go to Iceland... The structure at the top is just a dull storehouse.